The following maps were gathered from various sources with the intent of making one point. 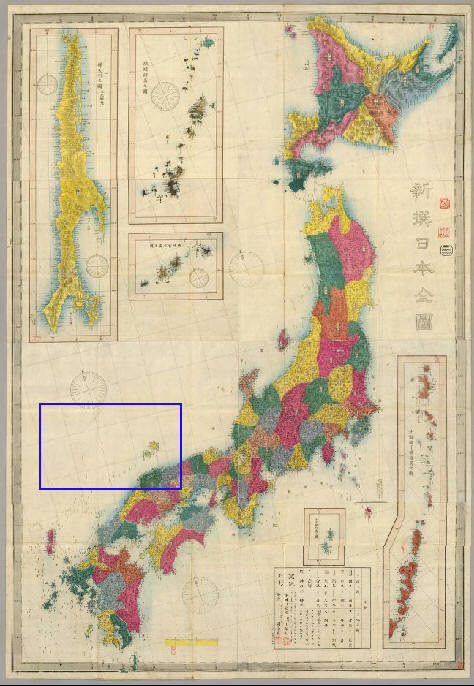 Throughout the ages Japanese national maps prove Dokdo -Takeshima (sometimes called Liancourt Rocks) was not considered an inherent part of Japan as their Foreign Ministry now boldly claims. 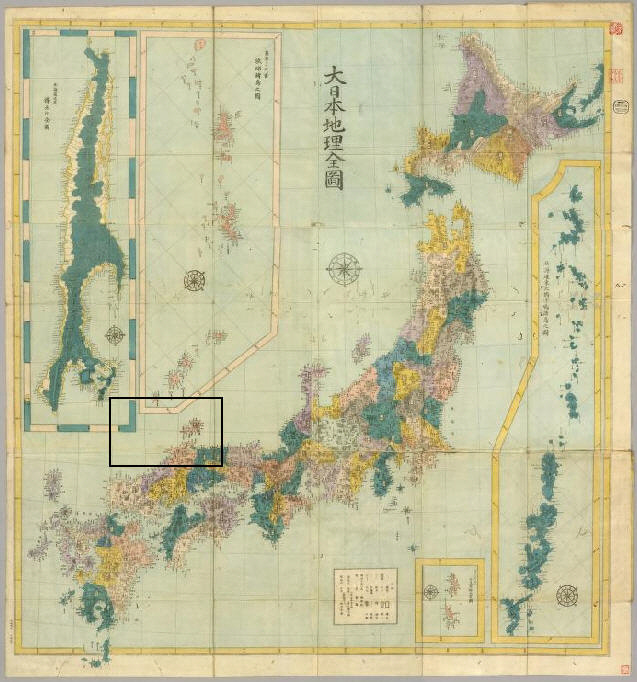 For reference, Oki Island has been boxed and a modern map at the top gives a geographical reference point for the viewer. 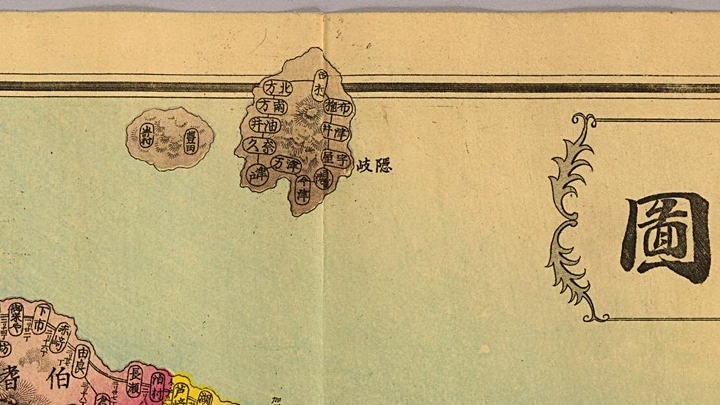 From these maps, it’s a logical conclusion that for centuries before the annexation of Dokdo in 1905 the Japanese considered Oki Island (隱岐) as the Northwestern boundary of Japan. 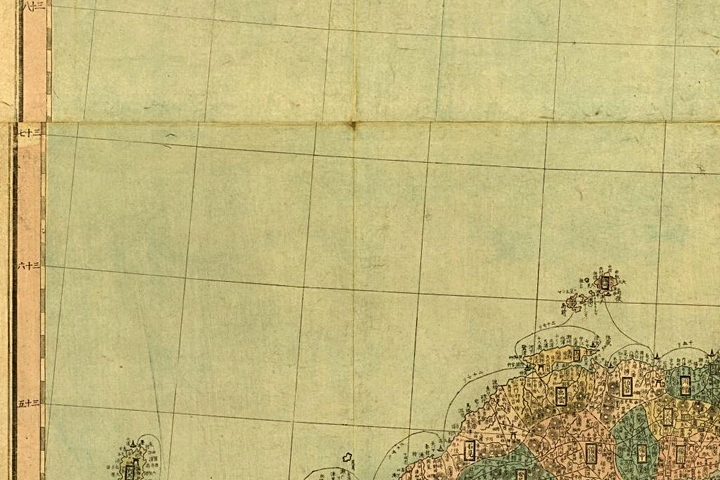 For higher magnification, each map is clickable. 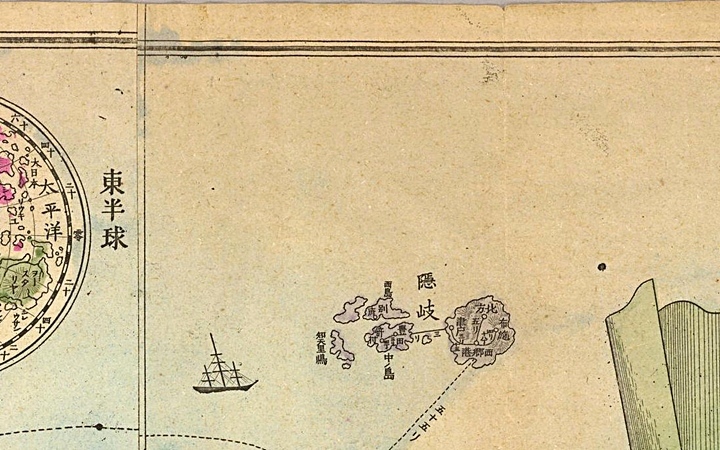 Above left: A map of the East Sea with Oki Island (隱岐) boxed in a black line. 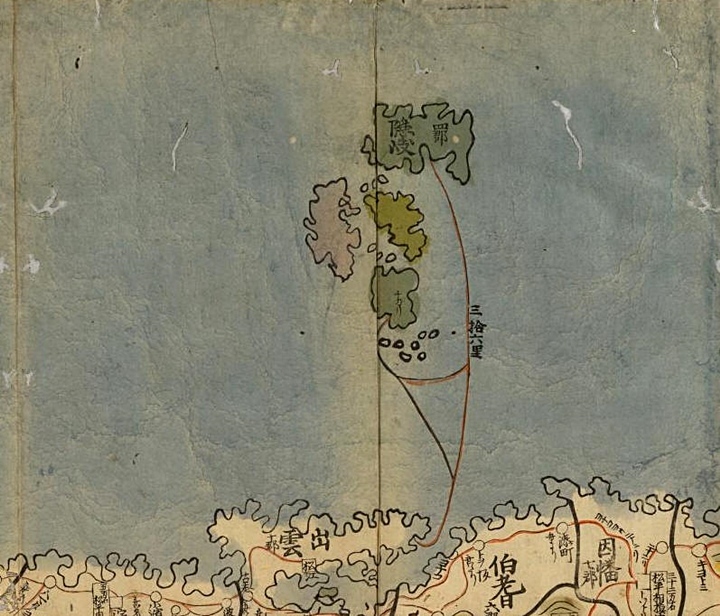 Above right a map showing distances to Dokdo from Korean and Japanese nearest islands and landfalls. 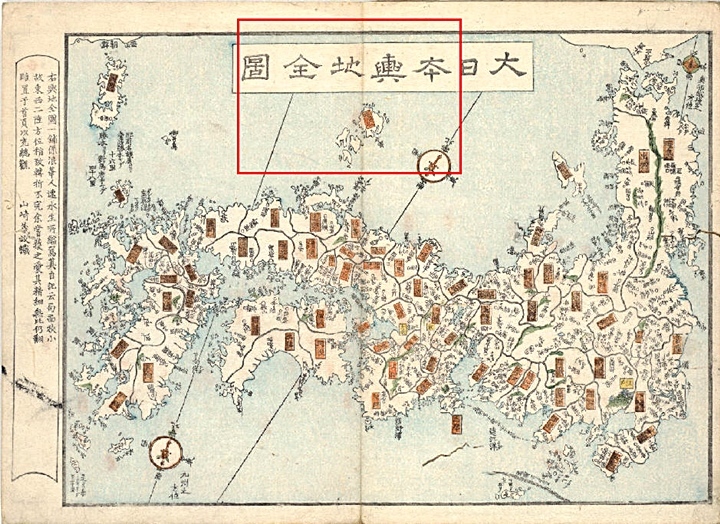 The following charts are Japanese historical maps with first an overview, then a close-up of the Oki Island (隱岐) region showing these islands to be Japan’s territorial limit throughout the ages. The two images of each group are clickable for higher detail. 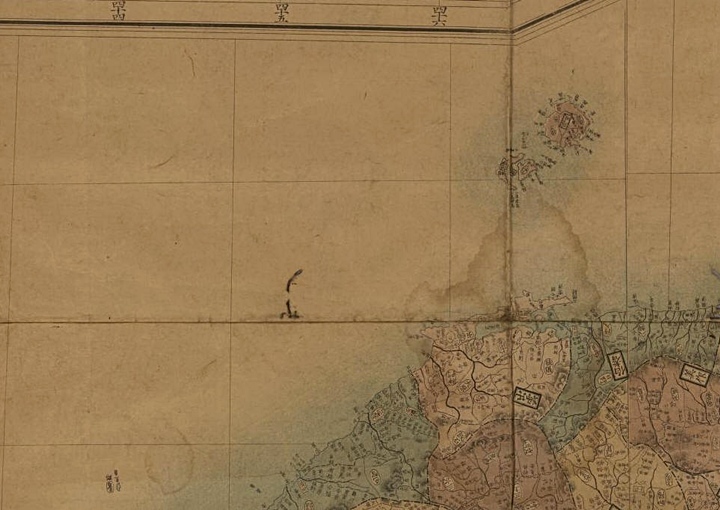 Above left: The entire map created in 1834 prior to the Meiji Era excluded Dokdo and Ulleungdo Islands. 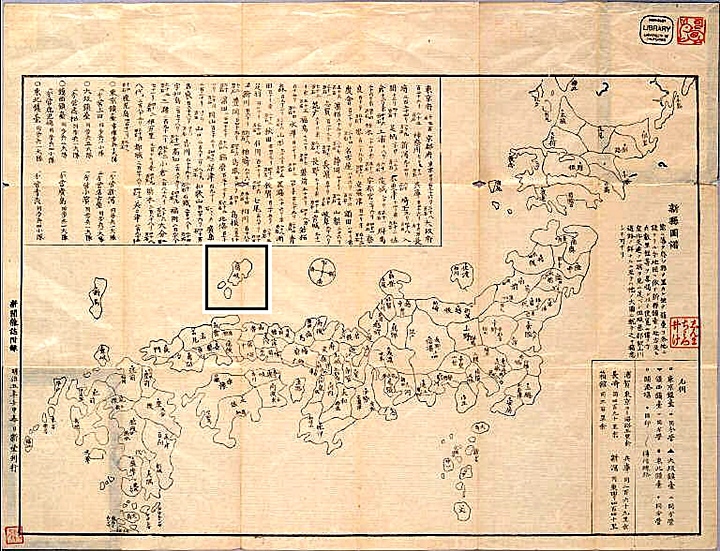 A few years later Japan would formally declare both islands as Korean, after a trespassing incident on Ulleungdo. 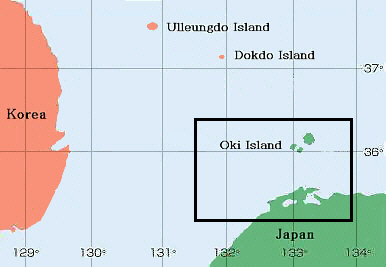 Above right: A close-up image of the Oki Islands, Japan’s limit. 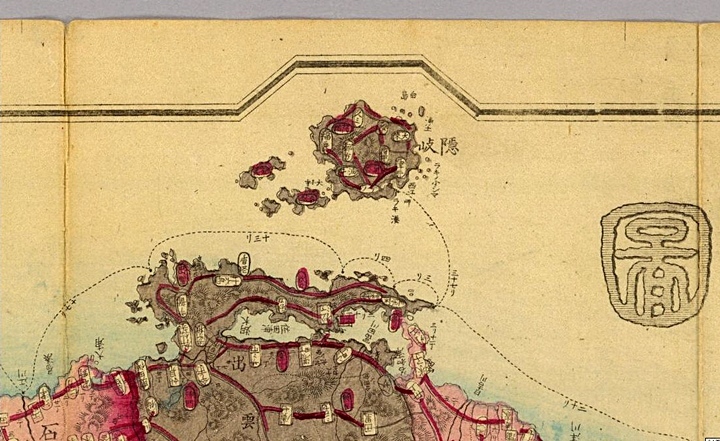 Above left: The overall map, drawn in 1877. 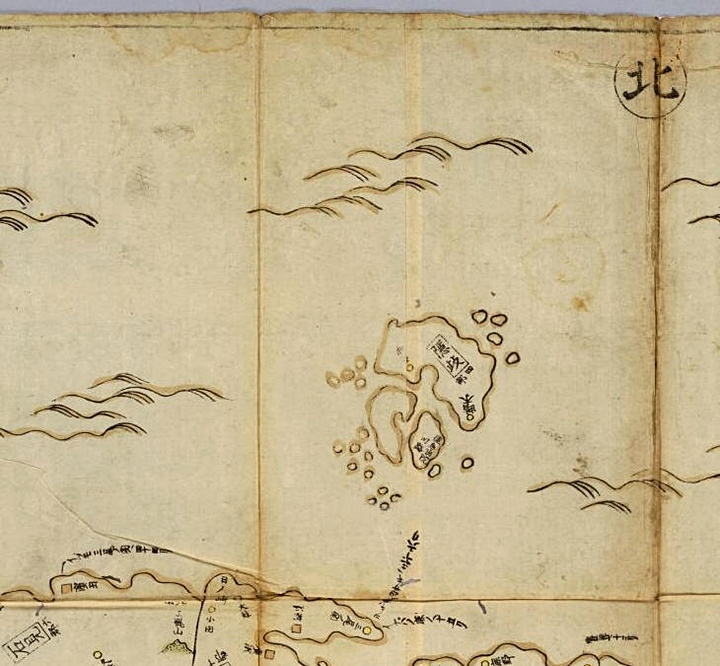 Note appended maps showing distant outlying islands that were part of Japan. 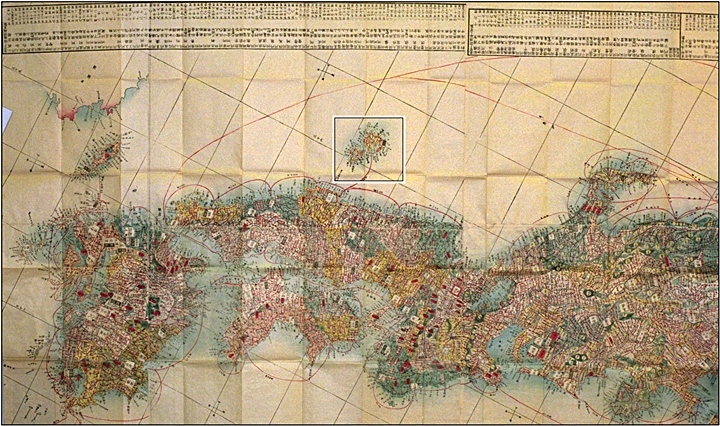 This map also included sea routes, however none extended to Dokdo Island. 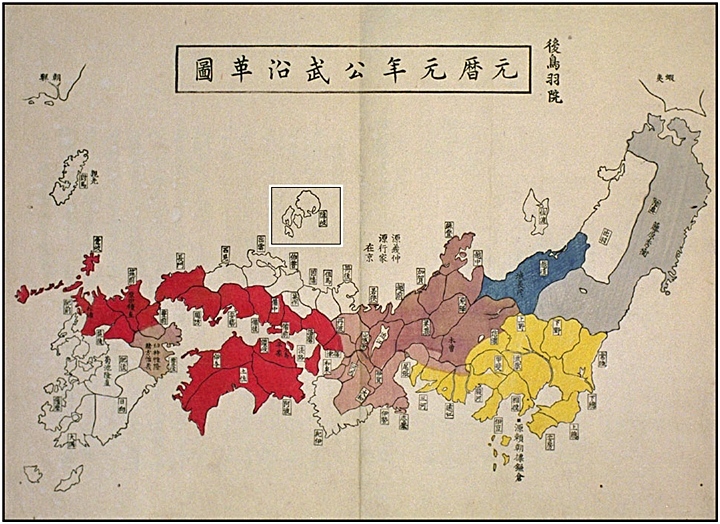 Above right: The boundary of the map of Japan was altered to include Oki Islands but then stopped. 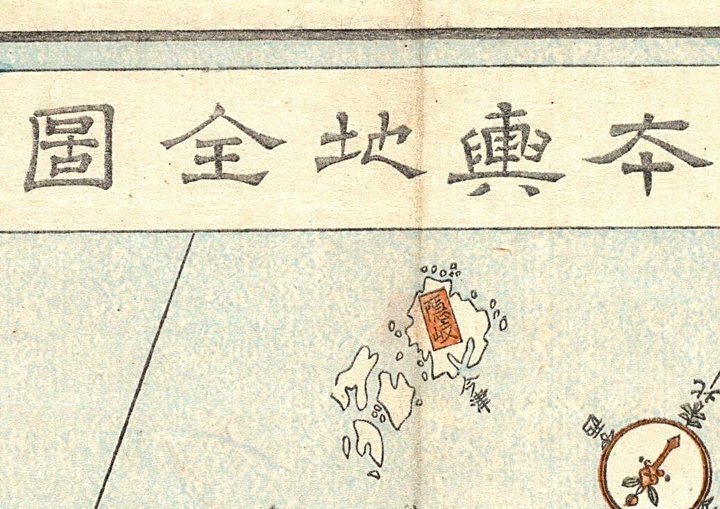 Note the dotted line indicating boat voyage routes that ended at Oki Islands (隱岐) click images. 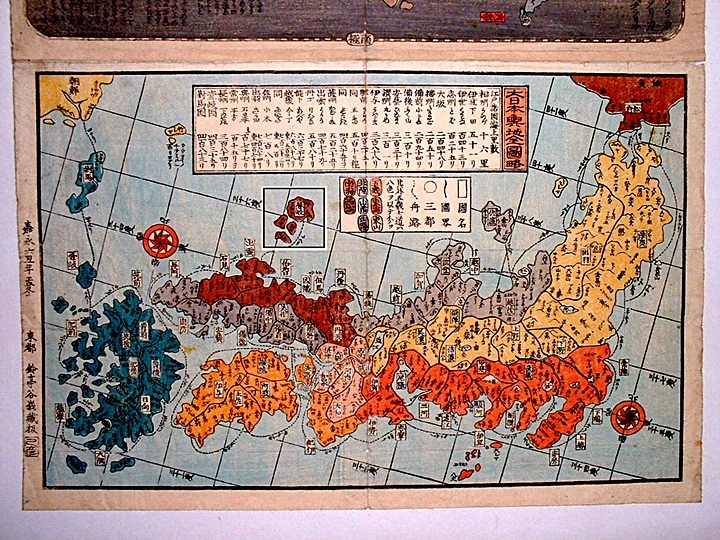 Above left: This chart drawn in 1892 by Kataoka Kenzo included outlying islands with appended maps and excluded Dokdo. 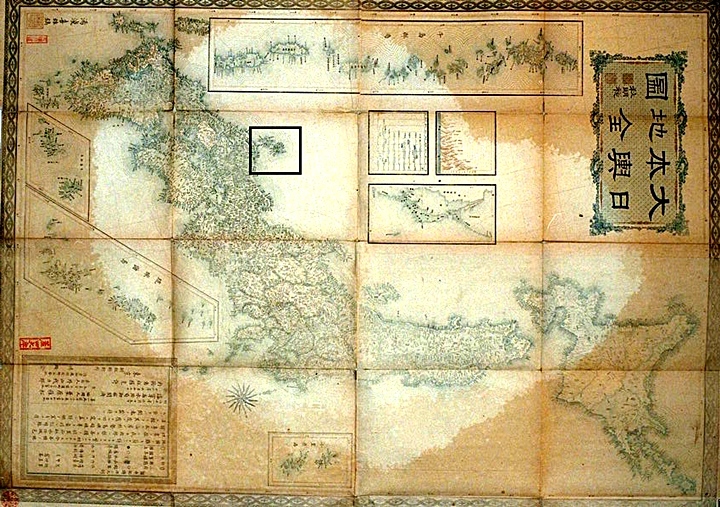 Voyage routes ended at the Oki Islands group. 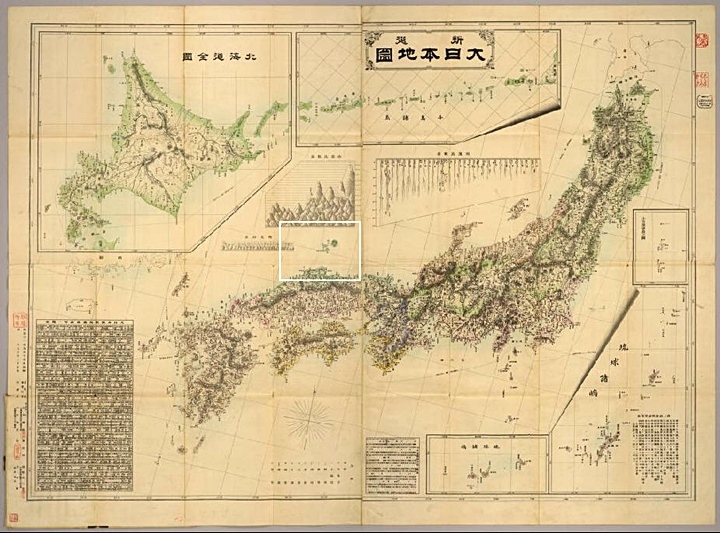 Drawn in 1876, this map was careful to include islands such as Hokkaido, the Kuriles, Sakhalin and the Ryukyus with appended maps. 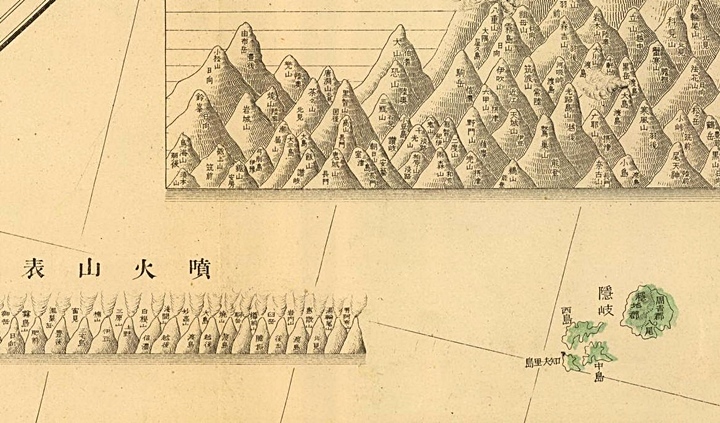 However, Dokdo Island’s location was covered by these charts and thus not part of Japan. Above maps. 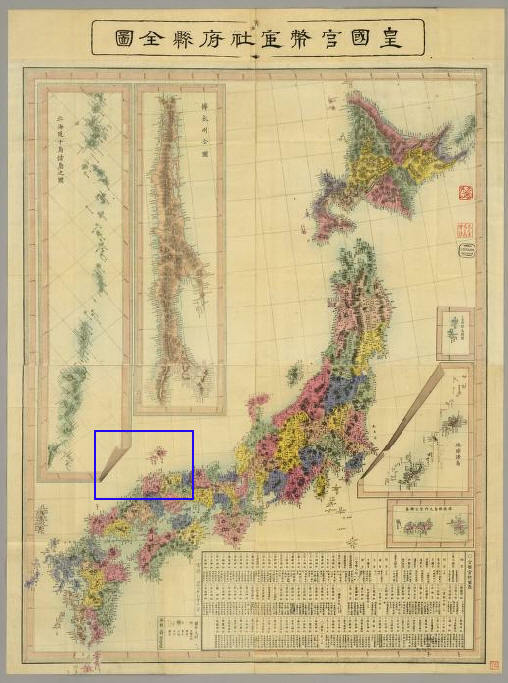 The chart above drawn in 1876 went a step further by not including any islands in the East Sea (Sea of Japan) West of the Oki Islands. 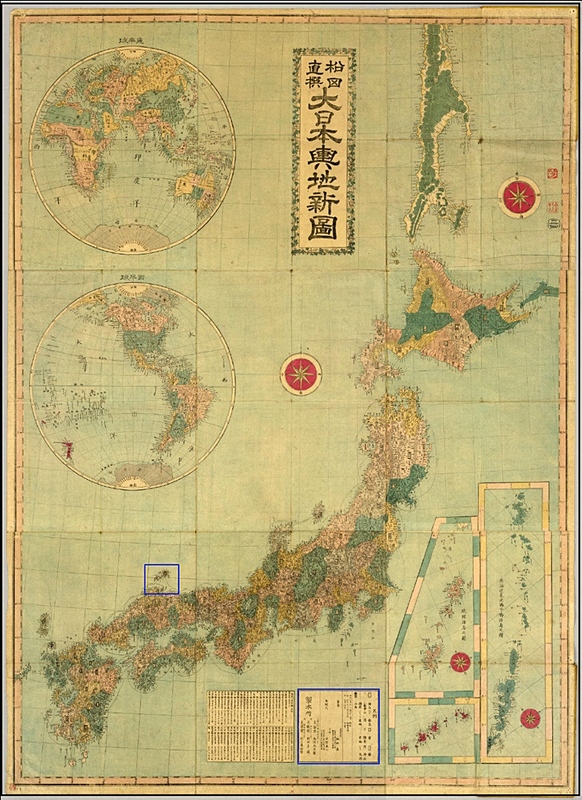 Above maps: In much the same manner as Matsuda Tadashi’s 1876 chart, the map above did not include any islands in the East Sea (Sea of Japan) West of the Oki Islands group at all. 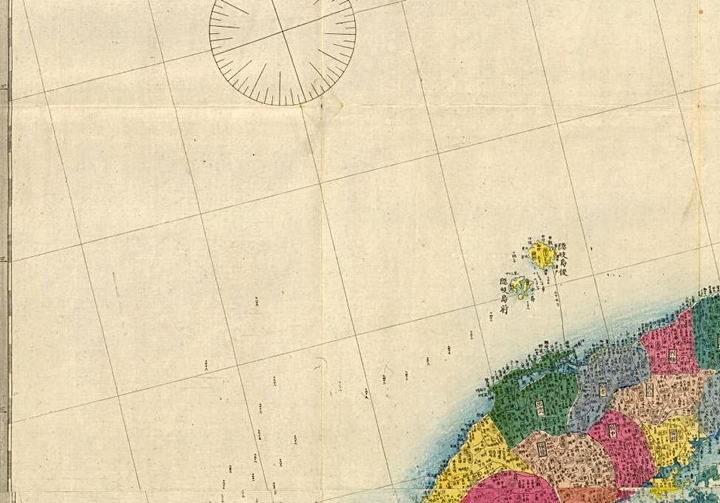 Thus, Dokdo Island could not have been considered part of Japan at this time. 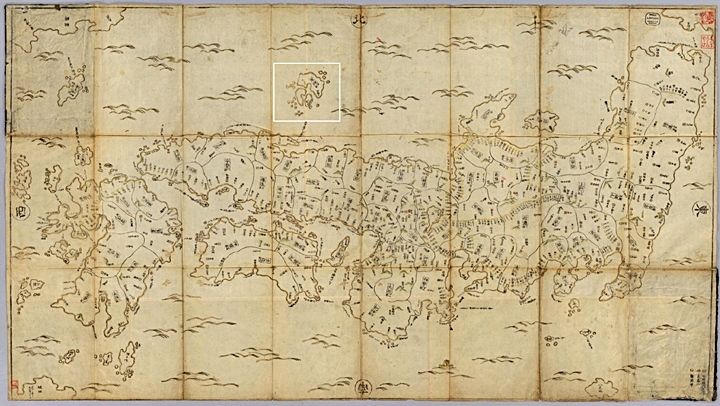 Though in poor condition the map above is clear enough to observe no islands were drawn West of Japan’s Oki Islands. 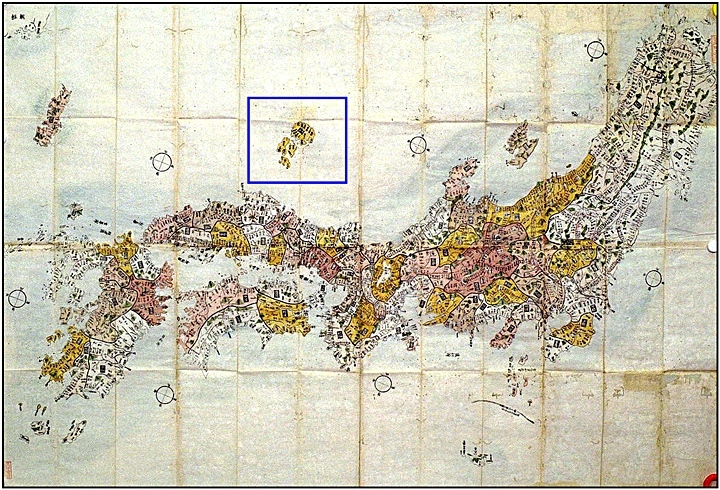 Dokdo Island’s location was placed under an appended map of Hokkaido and the Kurile Islands. 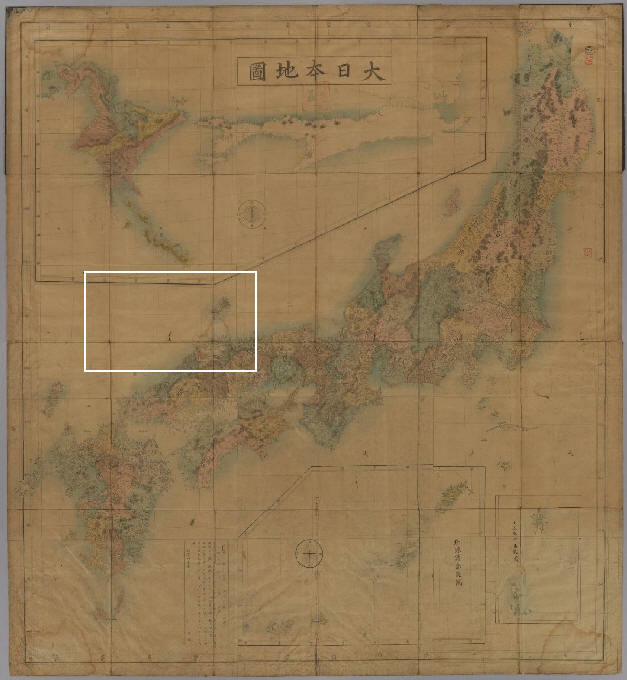 From this we know Japan excluded the waters West of Oki from her territory. 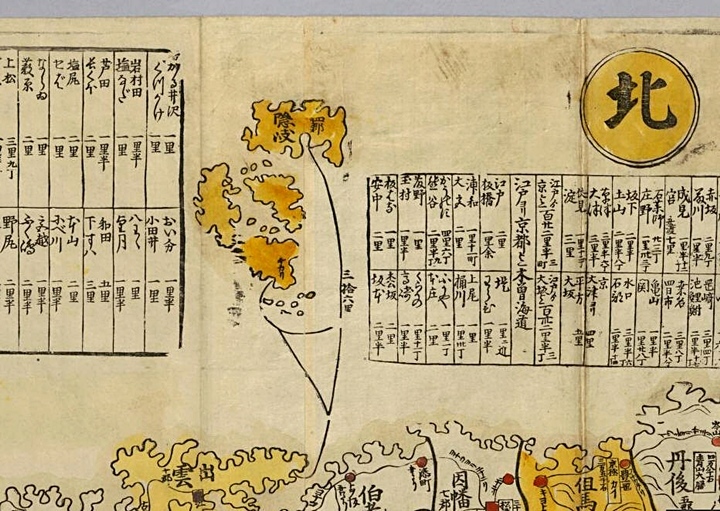 When studying historical maps to determine past territorial perceptions, one must first collect as many charts as possible of the region in question made by the nation that created them. From there, these maps must be examined and compared to find a dominant trend. 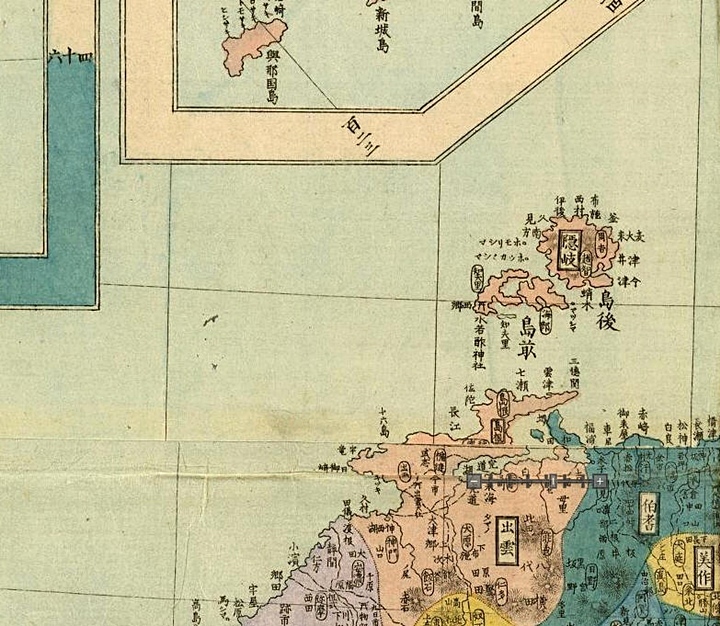 With this in mind, there can be no other conclusion that Japan excluded Dokdo Island from her land throughout history. 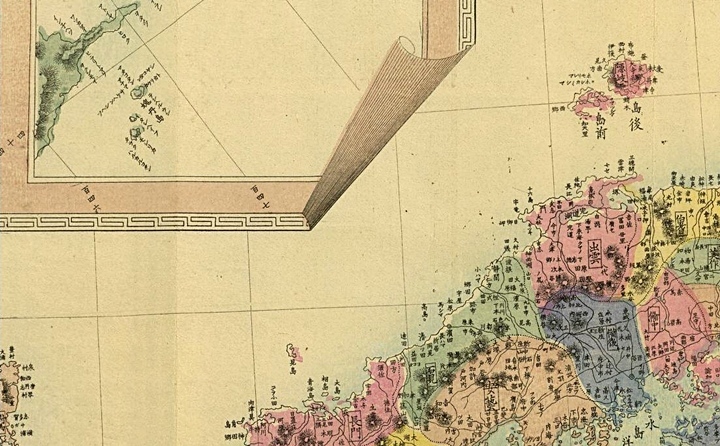 Simply put, Dokdo Island was never part of Japan.